I am looking forward to my upcoming trip to Shanghai. I will deliver a keynote address at the 2017 Global Cities Forum hosted by the China Institute for Urban Governance at Shanghai Jiao Tong University. The Smart City Bandwagon: Have We Lost our Way? 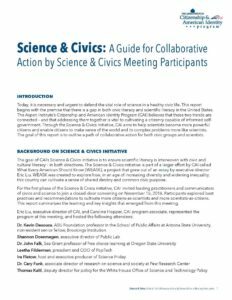 The Aspen Institute released a report on Science & Civics: A Guide for Collaborative Action. Today, it is necessary and urgent to defend the vital role of science in a healthy civic life. This report begins with the premise that there is a gap in both civic literacy and scientific literacy in the United States. The Aspen Institute’s Citizenship and American Identity Program (CAI) believes that these two trends are connected – and that addressing them together is vital to cultivating a citizenry capable of informed self-government. Through the Science & Civics Initiative, CAI aims to help scientists become more powerful citizens and enable citizens to make sense of the world and its complex problems more like scientists. The goal of this report is to outline a path of collaborative action for both civic groups and scientists. I am looking forward to my upcoming trip to Finland (Sept 25-29). I will be visiting the University of Jyväskylä to serve as an opponent for Henri Pirkkalainen's dissertation defense, Globally distributed Knowledge Sharing in Social Software Environments: Barriers and Interventions. Click here to read more details on the event. The event will be broadcasted live [webcast]. I am beginning work on my research project on Big Data. See below for some interesting search history trend data on the terms 'big data' and 'analytics'. At first glance, the term 'big data' appears to be fading in popularity. Plus, it is interesting to note the most popular cities from where the searches have been conducted. James Pol, US Department of Transportation Intelligent Transportation Systems (ITS) Joint Program Office. As part of our Citizen App project, we interviewed James Pol at the US Department of Transportation on his experience with the Connected Vehicle Technology Challenge. Current Position: Team Leader, Program Management and Evaluation at the US Department of Transportation Intelligent Transportation Systems (ITS) Joint Program Office. Bio: James is a classically trained civil engineer, receiving his Bachelors from Rensselaer Polytechnic Institute and a MS in Computer Systems Management from the University of Maryland. He has experience in both the public and private sector. Over the last decade, James has worked in the Federal Highway Administration as a program manager, with a particular focus of real-time information. In 2008, he began work with the US DOT and currently supervises the US DOT’s Intelligent Transportation System (ITS) research projects. Federal App Challenge in Focus: The Connected Vehicle Technology Challenge is centered on collecting innovative ideas and uses for dedicated short range communications (DSRC); wireless technology enables vehicles to communicate. The challenge did not require technical submissions, and winners were awarded with a free trip to the Intelligent Transportation Systems World Congress. The challenge received a total of 76 submissions. In general: The Intelligent Transportation Systems Joint Program Office has an eye towards advancing technologies, and helping to generate forward progress in the transportation practice. The office focuses on getting newly developed technologies out of the research space and into deployment. The challenges help them to carry out their mission, which includes engaging a larger audience of stakeholders and connecting beyond the usual RFPs. James notes that often when one works in the contracting arena, one is limited to certain audiences. 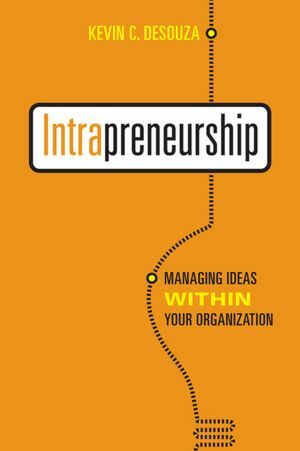 This lessens one’s ability to reach some of the newer and more innovative technologies. Challenge specific: ITS sought to broaden awareness of connected vehicles technology (establishing a network of communication between vehicles), and its role within the research field. Moreover, they targeted students, seeking to engage the next generation of engineers, economists and others interested in this arena. The ITS program realizes that these individuals are the ones coming into the workforce, therefore being in touch with this technology is essential. They defined a challenge, targeted a specific group of participants and determined a prize. The prize was a paid trip to attend the World Congress on Intelligent Transportation Systems and provided exclusive access to technology demonstrations. A total of 3-4 Individuals were involved in defining the challenge, while an additional 6 provided further input. There were 10 panelists to review the challenge submissions upon their completion. In terms of managing the challenge.gov platform, once a challenge is created and coordinated with GSA (the manager of challenge.gov), a moderator is established for the account. Both the moderator and James reviewed content and submissions on the site. In this challenge’s profile on the challenge.gov platform, some example submissions were provided. In addition, they also provided access to background information on connected vehicles to aid participants in understanding the underlying technologies. They did borrow from existing programs, for things such as their judging criteria. However, the challenge was written by DOT’s ITS. The planning and design of the challenge was done prior to the establishment of the America Competes Law. ITS developed a publicity plan to build awareness on the work the government was already doing with connected vehicles. The challenge was announced at a PR event at the annual Transportation Board Meeting. From there it immediately took off, and subsequently received 200 press impressions of all sorts; from blogs to webpages, to Wired magazine. One result of the immediate and extensive press coverage was the ability of ITS to refocus on other efforts and research. However, they did maintain support for the challenge, re-engaging the public at other events held by the agency. Internal judges were volunteers from around the DOT and ITS. The department varies significantly, and ITS worked with 6 other agencies (Federal Highway Administration, National Highway Traffic and Safety Administration, Federal Transit Administration, Federal Motor Carrier Safety Administration, Research and Innovative Technology Administration, and Federal Railroad Administration) within the department. These internal judges then chose the five best submissions, while also eliminating irrelevant or unrelated proposals. In total 90 submissions were gathered, 75 submissions were made available for public voting. A submission from a team out of Clemson University won the people’s choice award. After the ITS World Congress, the agency has had minimal contact with the winners. Overall, the response out paid their expectations. They would’ve been happy with 40 submissions, however they received close to 90 submissions. Challenge.gov allows people to ‘like’ and comment on the challenges, this is one way to gauge interest. The challenge was well within the top 10 of the challenges listed at the time for activity and submissions. The challenge out performed even those with cash-prizes. 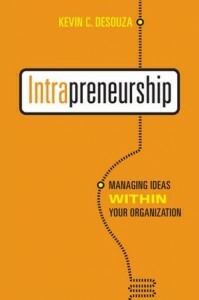 In terms of content, the challenge was devised to gather new concepts. Overall, the submissions helped validate some of their research endeavors, such as electric vehicle fleets and autonomous vehicles. However, nothing specific from the challenge has been directly translated into their research activities. Spend time early-on developing and crafting easy to convey messages. Connected vehicles is an inherently complex research field; the solver community out there, even for smart people, requires a bit of effort to express what it takes to achieve this and submission expectations. Low barrier to entry for this challenge. As such, must be very specific as to what is expected for submissions. Require that it be an original thought. One concept was very closely aligned with another research project from around the country. Thus, better safeguards are needed against this type of submission. In short, the answer is yes, but it is difficult to quantify. The Department of Transportation is rather committed to applying this type of initiative. In terms of, conducting research he sees it as evolving into a major component. Moreover, it is a useful method of achieving a knowledge/technology transfer, and a way to boost participation by individuals. Other agencies have contacted him on advice and he has been invited to judge other challenges. Currently, there are three other agencies in the department defining challenges. He has been approached by agencies within DOT and colleagues in the ITS program with ideas for new challenges. James is additionally a part of a department-wide work group to provide guidance to agencies in conducting challenges. Major risk is making sure to abide by America COMPETES Act, whether or not the challenge is being conducted within what the law establishes agencies to do. A lot of discussion and negotiation with legal and procurement must exist during the design and implementation of a challenge. Challenges are new for agencies, and it will take time to gain awareness and a level of comfort. However, enthusiasm is building for it. Interpreting the law is still a work in progress and questions do remain. America COMPETES includes requirements such as, requiring judges from both agencies and the industry. As a result, vetting conflicts of interest becomes necessary. This adds a significant amount of time to just defining and selecting a judge. Efforts are still underway to figure out how early in the process to include the judging panel. As well as, how to compensate non-federal employees.